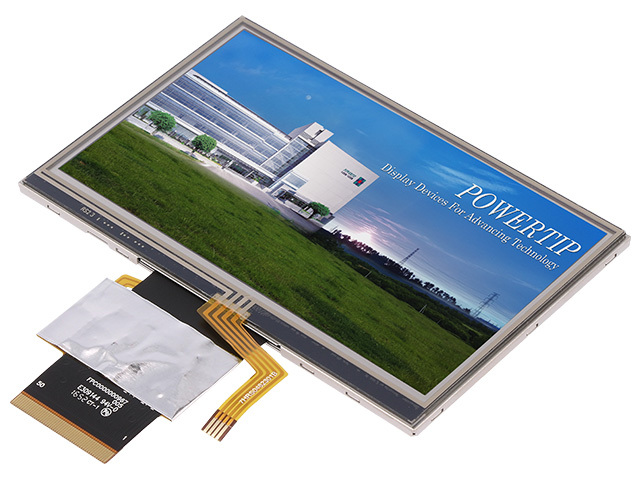 TME's offer has been enriched by small and medium-sized TFT graphic displays from POWERTIP. An important feature is the 4-in-1 concept, which enables the user to choose from four display sizes (3.5", 4.3", 5", and 7") while using the same type of signal cable. The cables have identical geometric dimensions, and utilize the same control signal lines. Thanks to that, you can design a PCB board with a driver IC, which you will be able to use with any of the four available display sizes. It gives you more design flexibility, but also increases cost savings both at the design stage and in the production, as there's no need to provide various drivers. supply voltage from 3 to 3.6VDC. The 4-in-1 family of displays can be used in industrial, automotive, and commercial applications. Check out the full offer of TFT displays from POWERTIP available at TME.